​​HOUSTON, Texas - In the largest margin of victory in the history of the Final Four, the Villanova Wildcats embarrassed the Oklahoma Sooners 95-51 Saturday night to advance to Monday's national championship game. In doing so, the Wildcats were able to erase memories of a 23-point loss to this same Sooners team from back in December. How did they do it? Defense (and a little bit of outside shooting). If you recall from last week, we outlined this matchup and told you that it was going to come down to a battle between the backcourts on both the defensive and offensive ends of the floor. We said that whichever team won the battle of the perimeter, would win the game. Villanova won that battle. Villanova won the game. In a feat not even Jay Wright could have imagined, his Wildcats were brilliant once again defensively - especially on the perimeter - as they were able to contain the red hot Buddy Hield, holding the All American to just 9 points on 3-14 (21.4%) shooting. Hield's backcourt mates, Isaiah Cousins and Jordan Woodward, combined for just 20 points on 6-24 (25%) from the floor. More importantly, Villanova was able to force the Sooners into turning the ball over 17 times, allowing Nova to pocket 12 steals along the way, with Phil Booth collecting 5 of those on his own off of the bench. On the other end of the floor, Villanova's starting backcourt of Josh Hart, Jalen Brunson and Ryan Arcidiacono combined for 46 points on an astounding 18-23 (78.3%) from the field. In fact, as a team, Villanova shot 71.4% from the floor, which is 2nd all time in field goal percentage in a Final Four game - second only to themselves (Nova's 1985 championship performance (78.6%) against Georgetown to win the school's only national title remains the highest FG% in a Final Four game). The Cats, who were shredding the nets through the first three rounds of the NCAA Tournament from behind the arc, were back to their old ways again - following a short hiatus against Kansas in the Elite Eight. Against Oklahoma tonight, Nova was 11-18 (61.1%) from three, which included Arcidiacono, Hart, Booth and Kris Jenkins combining to go 10-14 (71.4%) from downtown. In comparison, Hield, Woodward and Cousins shot just 5-21 (23.8%) combined from beyond the arc. In their first national championship game since the school's magical run in 1985, Villanova will face the North Carolina Tar Heels, who disposed of fellow ACC foe Syracuse 83-66, for the title on Monday. It will certainly be a tall order for Coach Jay Wright's group if they want to end this season's journey by cutting down those nets in Houston. Unlike Oklahoma, however, North Carolina does not depend solely on their perimeter game to win. In fact, UNC was 0-12 at one point from three on Saturday night against Syracuse, yet still had a 17 point lead at the time in the 2nd half. North Carolina is big, athletic, and deep on the interior, and that could spell trouble for Nova, who only starts 1 player - Daniel Ochefu - over 6'6". To compete with UNC on Monday night, Villanova will have to execute efficiently in a few key areas. First, they will have to box out every time down the court, and keep the Tar Heels from crashing the offensive boards. Against the smaller Orangemen Saturday night, the Heels grabbed 16 offensive rebounds. The Wildcats will already be at a disadvantage in the paint, they will not be able to afford Carolina second and third scoring opportunities on the glass. Allowing Tar Heel big men Kennedy Meeks, Brice Johnson and Isaiah Hicks to score easy put backs and tip in's will be lethal to Nova's chances of winning. Next, Villanova cannot turn the ball over. UNC converts turnovers to buckets better than any other team in the country. So far, Nova has been very protective of the basketball in the NCAA Tournament, turning it over just 10.4 times per game. That must continue. North Carolina is not a great defensive unit - although they have shown flashes of defensive brilliance at times. Keeping the TO's in the single digits, and therein decreasing transition opportunities for the Heels, is critical. Joel Berry has been playing like one of the best PG's in the country thus far in the NCAA Tournament. It may not look like it on paper, but anyone who knows anything about basketball knows that Joel Berry has been instrumental in the Heels' success this season. His ability to set the table offensively, with either his dribble penetration or his ability to knock down both the mid-range and the three, has carried UNC at times. Berry's ability to penetrate Syracuse's 2-3 zone Saturday night, when the Heels could barely hit the side of a barn with the basketball from the outside, set up easy looks and dunks for the Tar Heel bigs. Jalen Brunson will mostly likely draw Berry when the Cats are in man to man. Brunson must keep Berry in front of him, and not allow him to create on dribble penetration. In that same respect, he must also keep a hand in Berry's face, as he is much less of a threat from the outside when guarded closely. On the offensive end of the floor, Villanova must continue to move the basketball and get high percentage looks. As stated already, UNC is not a lock down defensive team. They do play slap-the-floor D at times, but it is only in spurts. Nova must take advantage of that by swinging the ball to the open man, and by driving and dishing to the spot up shooters. 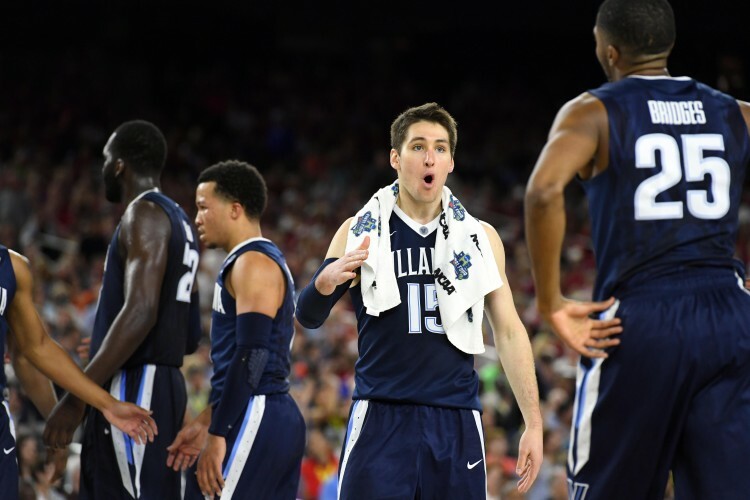 Villanova's abilities from the outside have been off the charts as a whole this entire tournament, and there is no reason to believe that will not continue. Brunson, Arcidiacono, Jenkins, Hart and Booth can all hit from beyond the arc. 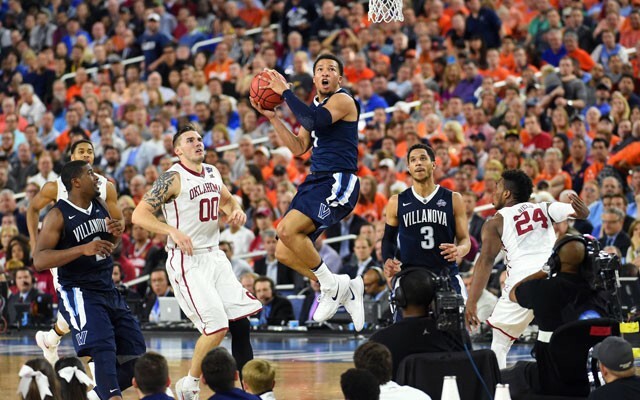 Getting open looks - which they will get - and knocking them down like they have been, will propel Villanova to a victory if they can execute on the defensive side of the ball. Monday night's championship game - like the NCAA Tournament has a habit of doing - will match up the two hottest teams in the country. But that is about all these two teams have in common. Yes, both are high octane offenses - with Nova averaging 84.8 ppg this tourney, and UNC scoring 88.0 ppg - but Villanova is a much better, and efficient, defensive unit. The Heels will make up for their defensive inabilities with their size and length, which make it much easier for them to recover if beat off of the dribble. While Villanova plays through their perimeter, UNC much rather pound it inside. With that being said, Monday night's winner will ultimately turn on which team executes its game plan better, and exerts its will on the opposition. You can bet that both teams, which are anchored by veteran upperclassmen, will leave it all out on the floor. It is sure to be a classic matchup, with one thing certain: if Villanova can pull off the victory, Nova Nation will be partying like it's 1985 all over again.